Sligo Food Trail presents the Sligo Tapas Trail as part of the Yeats Weekend celebrations from 15th to 16th June 2018. An astounding variety of creative, tapas sized specialities will be offered along the Sligo Tapas Food Trail for just €5 per dish. A Yeats Weekend celebration from the Sligo Food Trail in conjunction with World Tapas Day on the 16th June 2018. Sligo’s best restaurants, gastro pubs, cafes and food providers will showcase Sligo’s finest fresh produce and culinary innovation in tapas form so everyone can try some.Anthony Gray, Chairman of Sligo Food Trail and former President of the Restaurants Association of Ireland is an supporter and commented, “Following the success of Sligo Food Trail since its launch, the annual Sligo Tapas Trail further underlines the strength of local, traditional and organic producers of seafood, meats and vegetables in Sligo.” Sligo Food Trail members including Le Fournil, Café Fleur, Lyons Café, Sweet Beat, WB Yeats Cafe, Hooked, Eala Bhán Grappa, Swagman and more. Traditionally tapas were a Spanish appetiser or snack often served in bars. It has evolved into an entire sophisticated cuisine featuring both hot and cold dishes, sweet and savoury dishes. The annual Sligo Tapas Trail is a celebration of the finest fresh ingredients, many from local waters and the wild, with a distinctly Spanish twist. 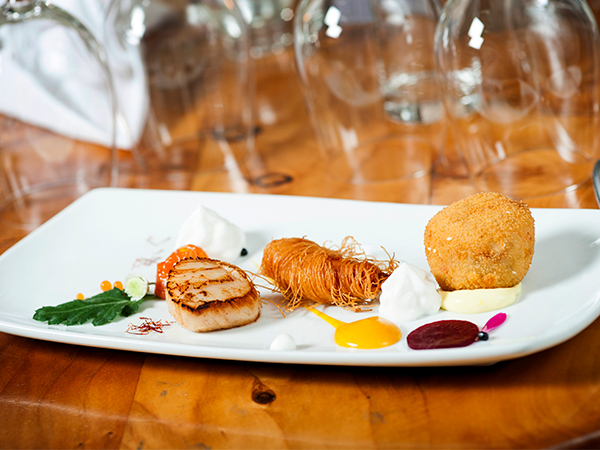 Last year the Sligo Tapas Trail was a huge success with locals and visitors alike. It’s expected to be just as popular this time around with more than 14 different tapas dishes on offer. The 50+ Sligo Food Trail members are an exciting mix of producers, markets, cafes, restaurants, craft beer, gastro pubs and accommodation scattered all around the county. Many are on the Wild Atlantic Way and others draw visitors inland to discover less known areas of this lovely and fascinating county. Since the Trail was launched just over two years ago, a steady stream of awards has been won by different members and is attracting visitors from all over the world to Sligo for its culinary delights .